You can call us a team. You might say we are an academy. The truth is: we are all this and a lot more. – to clean this sport of its bad reputation, pushing for a 100% clean environment. The goals are big, the mission is complicated, but we believe in every step we take. We don’t shy away from hard work nor from innovation. In fact, our riders, staff and partners take the opposite approach. We love challenges, we embrace technology. In short, we are committed to shaping the future of cycling. There is no secret formula. What we do is to make sure we collaborate with everyone around us – from professional teams to top brands, from federations and other sports organisations to anti-doping authorities. 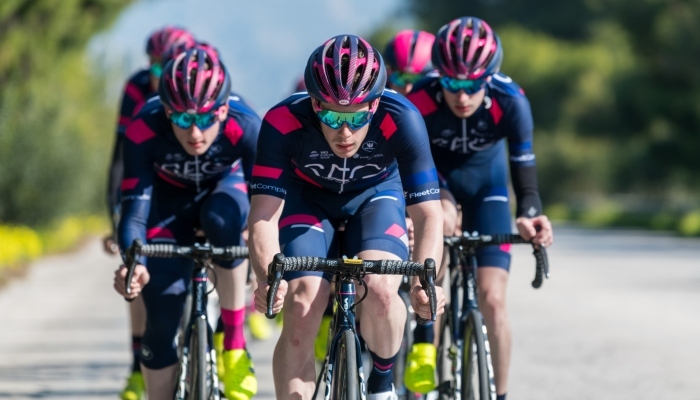 We create and deliver the best and most complete development program to a select group of talented youngsters who have shown the potential to grow and succeed in cycling. At SEG Racing Academy they get the total package: individual training, team training camps, guidance on all aspects of their development (physical, technical, mental, nutritional) and the facilities and tools to polish themselves both as a rider and a person. We also go the extra mile to show our pursuit of a cleaner, better cycling. For instance, through the creation of a UCI blood passport for each rider – something quite unique at this level. Our roster brings together many different nationalities. As a team, we compete in a wide range of geographies that go beyond the most popular European cycling countries (like Belgium, France or the Netherlands). On top of that, we have three dedicated team bases in Eindhoven (Netherlands), Girona (Spain) and Loutraki (Greece). It is a luxury our riders benefit from, having the possibility to train at each of these locations throughout a season. For as much as we would love the whole world to see what we do, our races aren’t normally broadcast on TV. And we don’t get as much media exposure as the big teams in the pro peloton. Don’t get us wrong: we are totally fine with that. Instead, we take ownership of our digital channels to spread the word about the Academy, show everyone the process our guys go through and make clear what hard work and dedication can lead you to. For us, it is a lot more than just meeting for weekend races and then leaving the riders on their own from Monday to Friday. Check us on Facebook, Instagram or Twitter and you will understand what we mean with this. On another level, we are now offering our services to individuals, groups and companies that seek guidance, knowledge and experiences in cycling. Our staff is available to deliver individual coaching, bike fit and VO2 max tests, corporate training programs and experience packages. The best part about all this? We are just getting started.